Organic solvents include a wide range of chemicals that all share the ability to dissolve substances not usually soluble in water, such as fats and oils. Hundreds of millions of tonnes of solvents are produced each year globally and used extensively in a wide variety of domestic and industrial applications. Commercially they are used in large quantities in chemical, paint, plastic, and rubber production and processing industries. 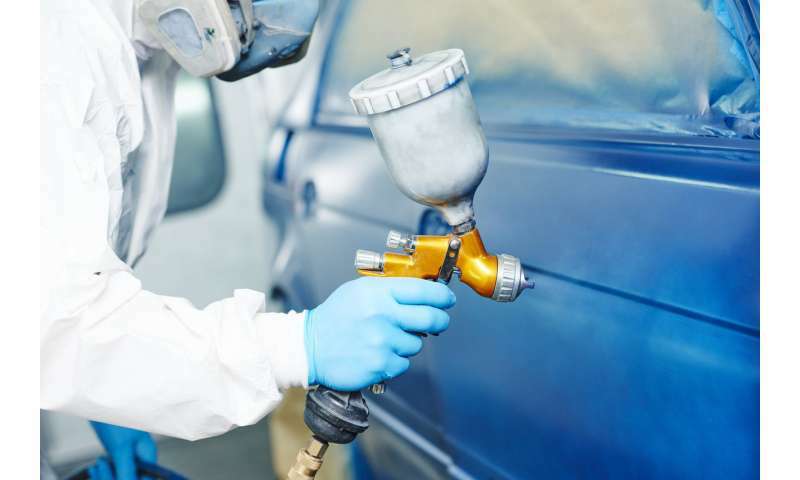 The fact that airborne solvent levels in the collision repair industry were low suggests that skin exposure may be more important. Many solvents, including those used in vehicle repair work, can pass through the skin and into the body, but these exposures could not be measured in this study. We found that the use of personal protective equipment such as respirators and gloves strongly reduced the risk of symptoms, and that glove use was most protective. Exposure levels and workers' health will be measured before and after the intervention period. On the basis of this evidence, a comprehensive exposure control and health protection program tailored to the collision repair industry in New Zealand will be developed, with a view to implementing it industry-wide and potentially across other sectors where workers are at risk of solvent exposure. Does chemical exposure in the workplace affect hearing?